Found 2 file extension associations related to Design & Print, Business Edition and 1 file format developed specifically for use with Design & Print, Business Edition. 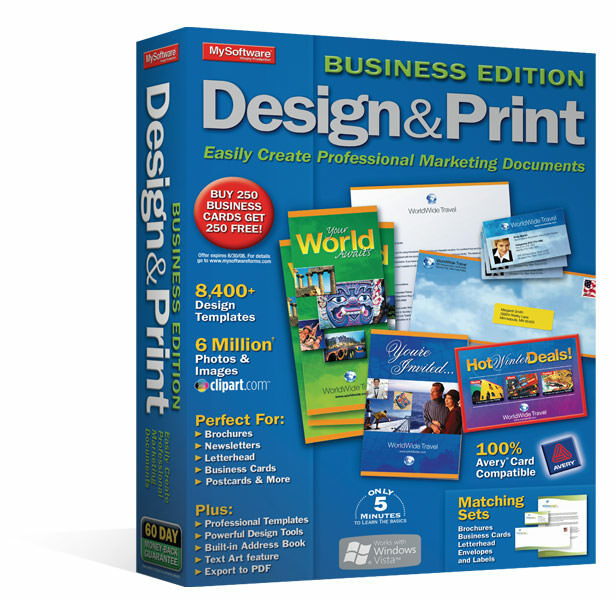 Design & Print, Business Edition is a print design software used to easily create professional marketing documents. With over 8,400 professionally designed templates, 10,000 fonts, 500 graphic typestyles, 75 complete sets, and special text and image effects, you're well on your way to creating high-impact and unique marketing documents that will leave a lasting impression with your customers or clients. If you need more information please contact the developers of Design & Print, Business Edition (Avanquest Software), or check out their product website.